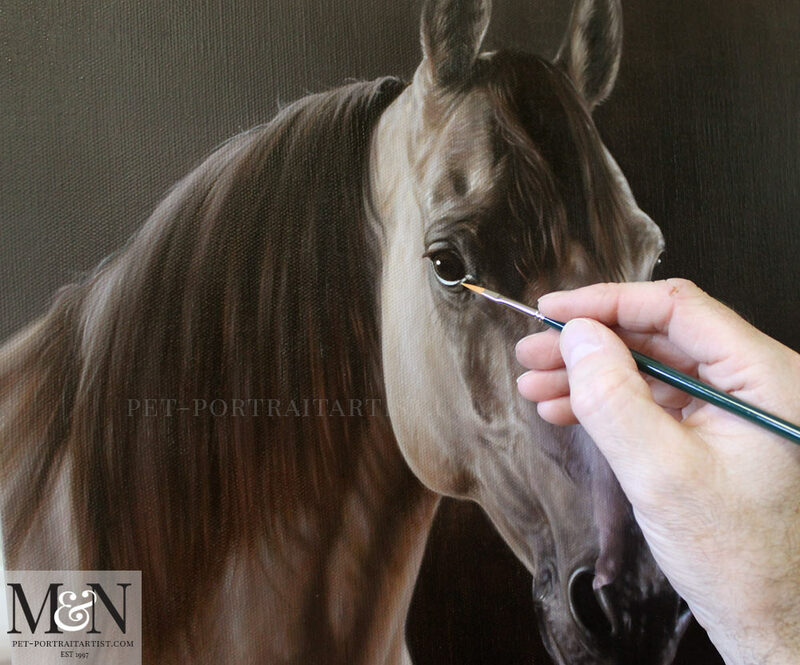 Welcome to the horse oil painting of Remy and his story. 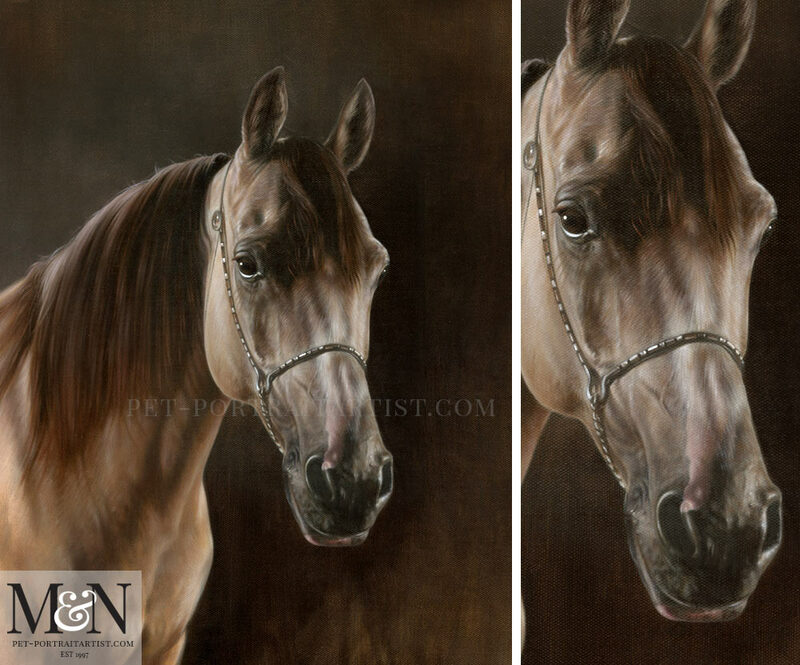 Remy’s horse oil painting was commissioned by a returning client, Marianne, from Canada. 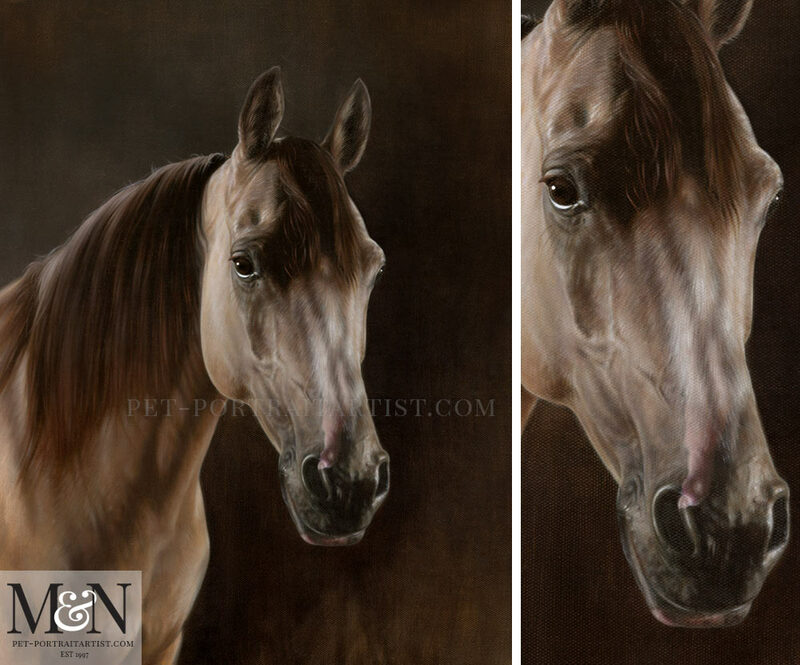 If you scroll down to the bottom of the page you will see there three horse portraits Nicholas painted a few years ago. Marianne had a new horse she wanted Nicholas to paint at the same size and dimensions as her other portraits. The portraits are painted din oils on chunky linen canvas to the size of 18″ x 14″ and Nicholas has painted the edges so that our client was able to display the portrait without framing. Marianne emailed us photo of her portraits all displayed which you can see further down the page. Marianne emailed us some wonderful photos of Remy and had one particular favourite photo that she wanted us to use. It was all agreed and we painted it as you can see in the final scan below. Marianne loved it…however asked for one final addition. Scroll down to see! Marianne realised that all of her other horses were wearing beautiful halters and she wanted Remy to be wearing his too. Lucky we had photos of Remy wearing the halter for reference. Nicholas was able to add it into the painting once it was all complete. You can see I have added a second scan to show you Remy with the halter below. We have added a testimonial from Marianne below. 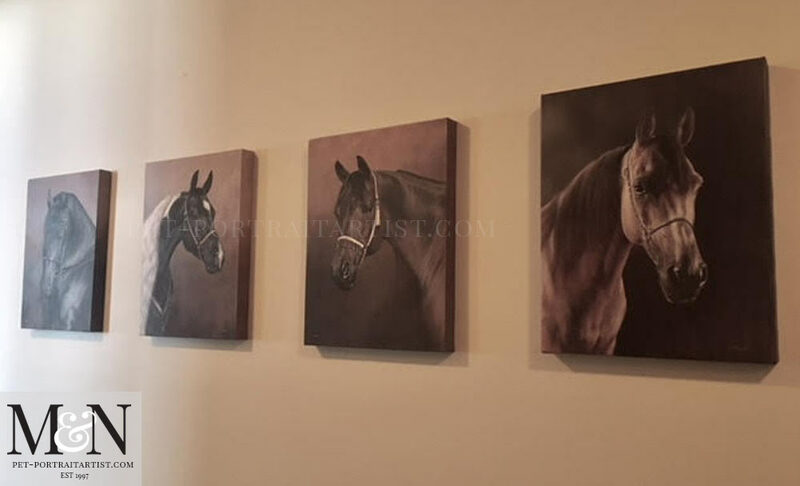 Marianne very kindly emailed us a fantastic photo of all of her portraits displayed in her home…we love them! We will be soon displaying Remy and the photo below on our Horse Portraits website in the coming weeks. Forgot to send this. They’re displayed down a long hallway in a rustic house. Before the oil painting was packed up and sent on its journey to Canada, I took some close up photos of Remy. You can see the photo below captures Nicholas with his brush in to show scale. 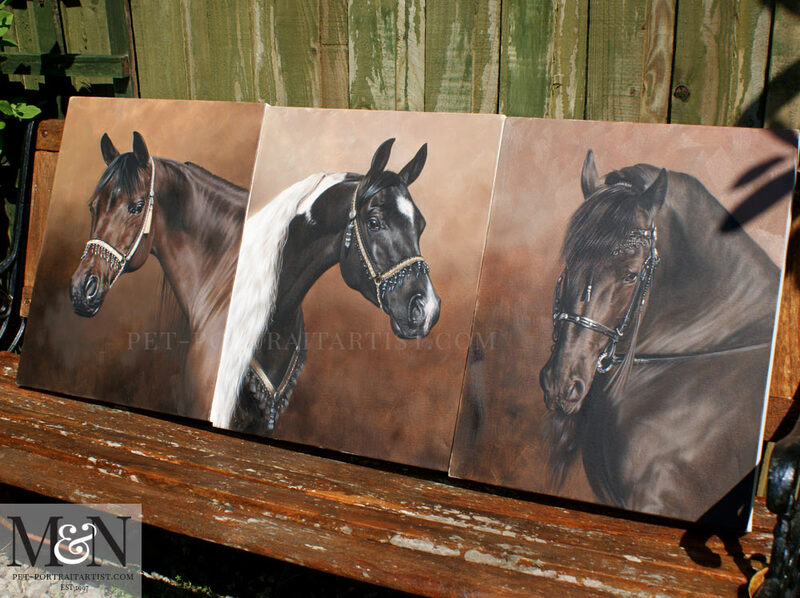 The photo below shows the three oil paintings Nicholas painted for Marianne a few years ago. Again very difficult to photograph so we took them out side on a sunny day for a photo shoot! Thank you so much for these wonderful paintings of my boys. Cherished forever in my home. Thank you so much for your wonderful comment Marianne, we are absolutely delighted and look forward to working with you again in the future!